When a new Scandinavian TV series shows up on any of our favorite streaming services, we have high expectations. Rebecka Martinson, the new mystery series from Sweden, delivers in full. There’s the occasional not-quite-believable event common to most crimes series, but they’re outweighed by the show’s strengths. 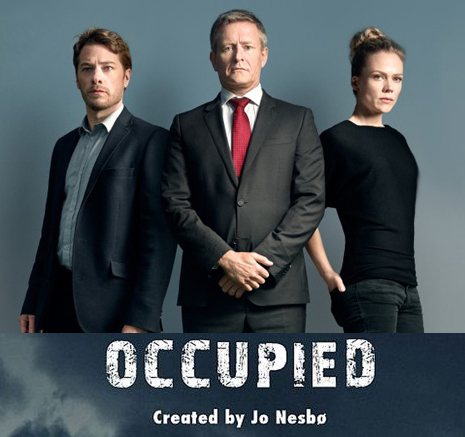 The Rebecka Martinsson TV series includes a likeable group of main characters, interesting cases, and a bit of humor, all set in Stockholm and points far north in Sweden. Rebecka Martinson (Ida Engvoll) is a tax lawyer in a corporate firm, but ill at ease. As the shows begins, it’s obvious she’s a misfit. Almost right away, she returns to her hometown, Kiruna, for the funeral of a former friend. It turns out, of course, that the death may not have been accidental. Rebecka prods the local police and, before long, more detective than attorney, she helps them solve the case. As it turns out, the local prosecutor’s office is in need of another lawyer. Rebecka comes on as temporary help. The thing is, she’s supposed to be house hunting with her boyfriend in Stockholm. Not quite sure if she would rather be here or there, Rebecka’s personal life is even less settled than her professional life. 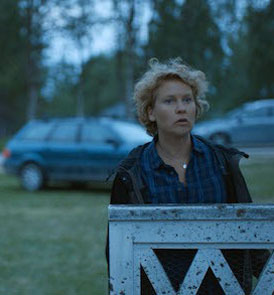 Anna Maria Mella (Eva Melander, right) is the local cop who teams up with Rebecka. She is the funnier of the two and quite pregnant as the series begins. 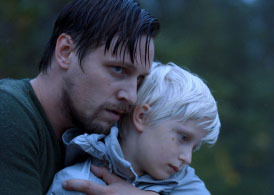 A police dog handler, Krister (Jakob Ohrman, below right), also plays an important role as the series progresses. The quirkiest character though is Pohjanen, a pathologist with lung cancer, which doesn’t stop him from smoking. 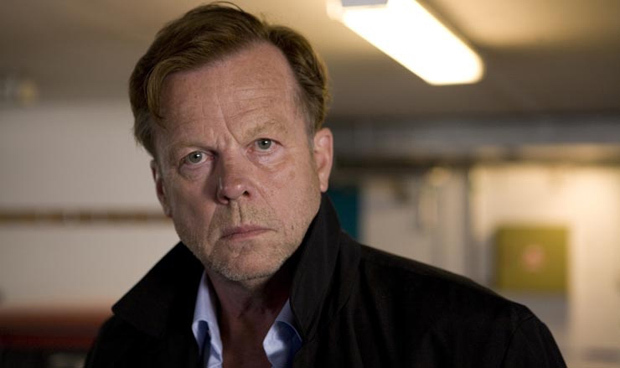 He’s played by the eccentric Ville Virtanen (from Bordertown and Norskov), one of our favorite Scandinavian actors. The cases each last for two episodes, opening with an usual murder or the discovery of a body. The first case – referenced above – is personal, and it takes a toll. It leaves Rebecka emotionally shattered, but gives her a reason to stay home longer and get involved in more crime solving. Eventually, she decides whether to stay or return to the life she left behind. Though not as bleak as some Scandinavian series, Rebecka Martinsson still has dark moments. A few of the crimes are grizzly, and there’s a sense of isolation in the setting and stories. Kiruna is remote, at the northernmost end of Sweden. Seasons change from episode to episode. Sometimes the landscape is green and lush, sometimes grey, white, and barren. The Rebecka Martinsson TV show is based on a series of crime novels by Asa Larsson, who is also a tax attorney (turned crime writer) from Kiruna. 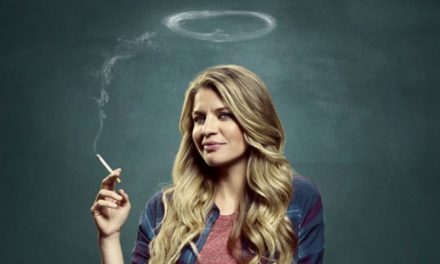 The eight episodes, each about 45 minutes, premiered on Sweden’s TV4 in spring, 2017. There is talk of Rebecka Martinsson season 2, but no official word yet. 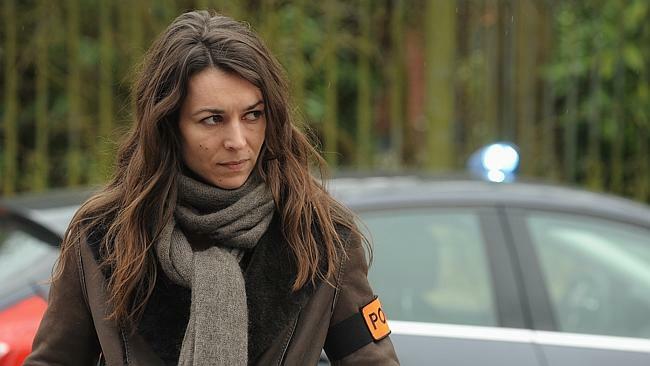 In the meantime, put Rebecka Martinsson at the top of your foreign TV shows list. It’s one of the best shows on AcornTV.